Femoroacetabular Impingement, or FAI, is a condition where the bones in the hip joint rub together, causing pain or discomfort. FAI may limit your range of motion and damage your hip joint. FAI is caused by abnormally shaped bones in the hip joint. This means the bones in the hip joint do not fit together or function as well as they would in an average person's hips. In normal anatomy, the hip joint is a ball-and-socket joint formed where the femoral head nestles in a socket in the pelvis called the acetabulum. A smooth cartilage material covers the ends of both surfaces, while a material called labrum forms a lip around the rim of the acetabulum. Both cartilage and labrum help maintain stability and reduce friction in the joint, making hip movement easier and painless. FAI may be caused by abnormal growth of the femoral head, the acetabulum, or both. If the femoral head develops abnormally, the type of FAI is called cam impingement. 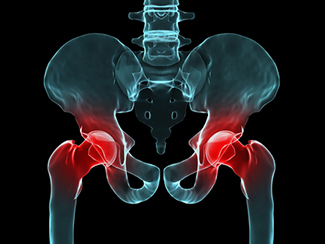 If FAI is caused by an abnormally shaped acetabulum, the type is called pincer impingement. If both are abnormally shaped, it is called combined impingement. Symptoms vary depending on the type and severity of the condition, but common symptoms include pain in the front of the hip, buttocks, or the side of the thigh. Pain may range from a dull aching sensation to sharp pain. You may experience some popping or catching sensations in the hip, as well as increased pain during or after activities like walking and after long periods of sitting. How is Femoroacetabular Impingement treated? Treatment options vary depending on the severity of the condition.Often, conservative measures like activity modification or pain medication may be used to treat the symptoms of FAI. Your doctor may also recommend physical therapy. If the condition is very severe or conservative treatments fail to provide relief, surgery may be necessary.